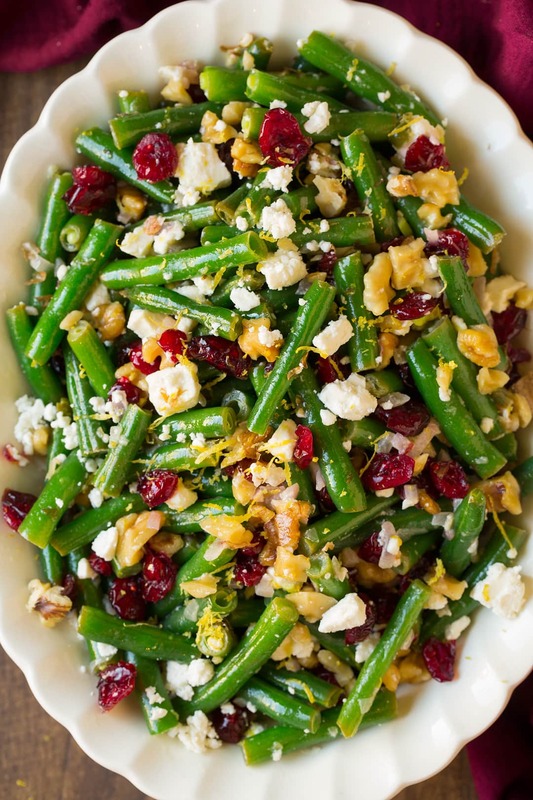 Lemon Butter Green Beans with Cranberries Walnuts and Feta recipe is a festive, bright and flavorful side dish and you’ll love this combination of textures! The holidays just wouldn’t be the same without all the delicious sides like so, right? 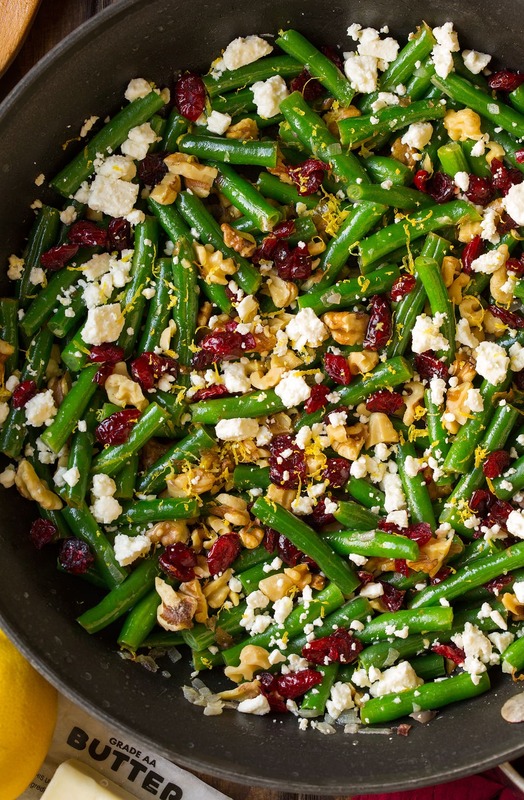 You get those tender crisp green beans, chewy dried cranberries, crunchy walnuts and that soft and tangy feta cheese. 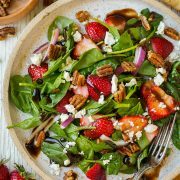 It’s not your typical salad or green bean dish but it’s so nice to have new options for a change! 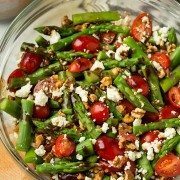 How Can I Keep Fresh Green Beans Fresher Longer? 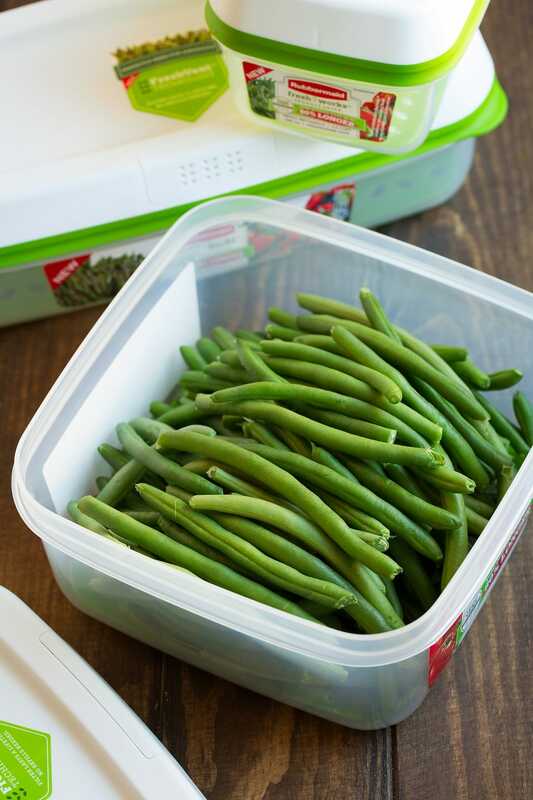 Speaking of green beans – have you guys tried the Rubbermaid Fresh Works containers yet?? I first got a few earlier this year and I’ve been using them all. the. time. I’ve gotten so tired of food waste due to food that has gone bad in my refrigerator and these have really been a game changer, they help produce last up to 80% longer! My berries last up to two weeks longer than they normally would! At the end of summer I was hoarding berries away in these in my fridge so it could be like summer was lasting that much longer for me :). 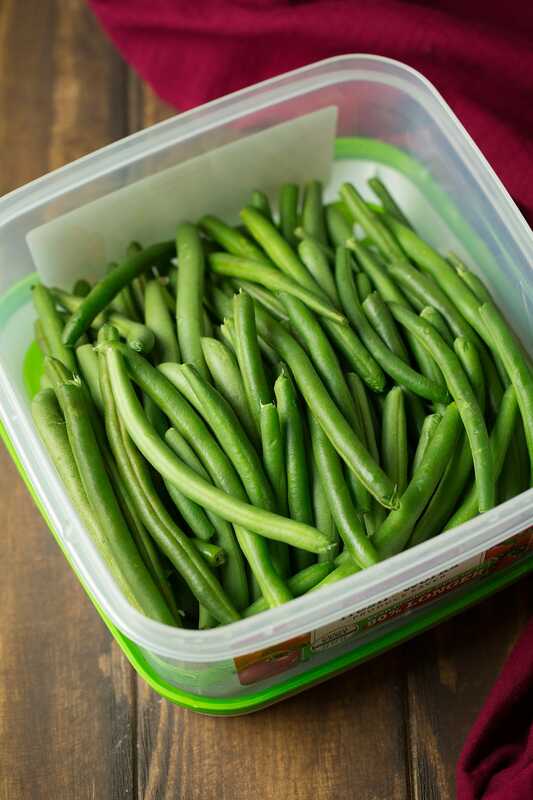 The photo above is the day I purchased the green beans and added them to my Rubbermaid Fresh Works container, on a Tuesday. 8 days later the next Wednesday they are still in excellent shape as pictured below! How do These Storage Containers Work? The way it works is that their FreshVent technology creates an optimal environment for fruits and vegetables by regulating the flow of oxygen and carbon dioxide in and out of the produce container. The CrispTray at the bottom of the food container elevates produce away from moisture and promotes airflow to help prevent spoilage. The built-in lid filter never needs to be replaced and will last a lifetime. My kind of product! They are now available in unique sizes to fit tomatoes, asparagus and green beans. I love that they come in a variety of sizes! Bring a pot of water to a boil. 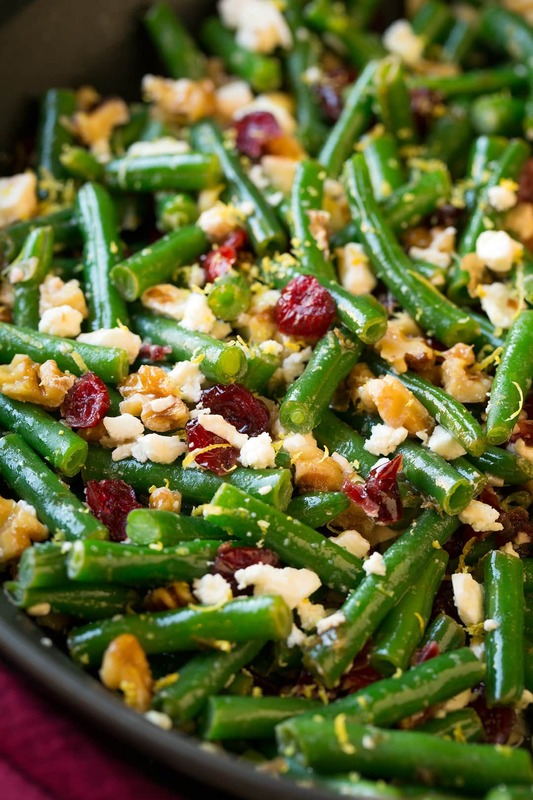 Add green beans and boil 3 – 5 minutes until tender crisp. Drain then immediately rinse under cold water. Drain well. Melt butter in a large skillet over medium heat. Add garlic and saute 1 minute. Add in drained green beans and saute 1 minute or until heated through. Toss in walnuts, cranberries and lemon juice and season with salt to taste. Sprinkle in feta and lemon zest. Serve warm. 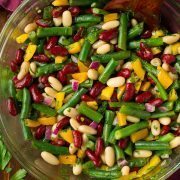 These lemony green beans are such a delicious side dish! They have a bright fresh flavor, a great combination of textures, and beautiful blend of natural colors. Easy enough for a weeknight dinner but tasty enough for a holiday dinner. Bring a pot of water to a boil. Add green beans and boil 3 - 5 minutes until tender crisp. Drain then immediately rinse under cold water. Drain well. This post was sponsored by Rubbermaid. All thoughts are 100% my own. natalie: What is the serving size that coordinates with the nutritional info? I can’t wait to make this dish!